We're kicking off the new year with a new release of our membership software. 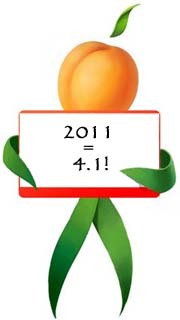 Version 4.1 went live this morning, and as usual if you're already using Wild Apricot there's nothing for you to do -- the upgrade happens "auto-magically". For a complete list of features added in this and previous Wild Apricot versions, check out our release history. And if you're not yet a Wild Apricot user... well, what are you waiting for?!? It's completely free to try for 30 days, please check it out and let us know what you think.